Pharaoh-1954 black. Sired by Fasaab (r), out of Zurette (r). Babson. 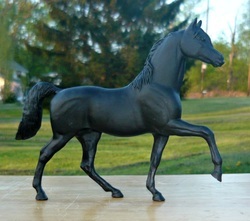 OF Breyer, Trad, Sham, #1153 The Black stallion. Homeland Security-1959 cherry bay. Sired by Pharaoh, out of Atszlemra (r). Half Babson and half Polish. Pharaoh's Pride-1970 black. Sired by Pharaoh, out of Briana. Half Basbon and half Polish. Pic credit @ Tracey Bartone. Halter set done by Jennifer Selby. Homeland Soldier-1974 bay. Sired by Homeland Security, out of Imatoxicone. 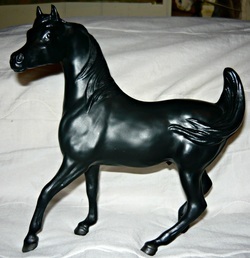 OF Breyer, Classic, Black Stallion #3345 King of the Wind set. Something Hott-1975 bay sabino. Sired by Pharaoh, out of Fading Shadow. 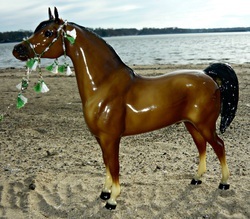 OF Breyer CAS, #3057 Bedouin Family Gift Set. 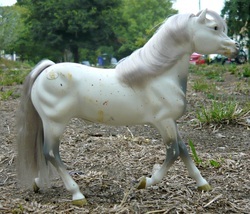 OF Breyer Mini Whinny, Rearing Arabian stallion. Sorry pic is blurry, will get a new one soon enough. Celestyn-1976 bay. Sired by Trymordan, out of Bint Czortina. Bred by Legacy Farms. Sanctum-1979 gray (black base). Sired by Pharaoh, out of Mortissa (r). OF Breyer, Trad, PAS #211. Tynishk-1981 blood bay. Sired by Celestyn, out of Mishka. Bred with the help of Celtic Song Stables. 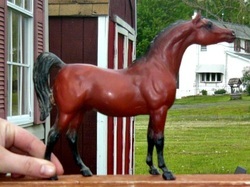 OF Breyer, Paddock Pal/Lil Bit, Arabian #1653. Sith Master-1983 chestnut rabicano/sabino. Sired by Tallin (r), out of Lokhala (r). Has Nazeer one time in his pedigree though Aswan. 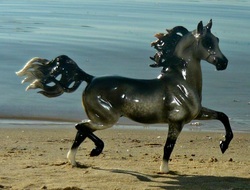 Lunar Goldn Silver-1989 gray (flaxen chestnut base). Sired by Madu Gold Dust (r), out of Silver Luna. CMK lined. 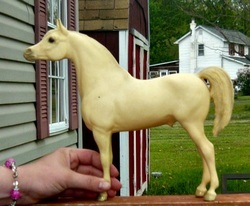 OF Breyer, Single Day ticket, Sterling. 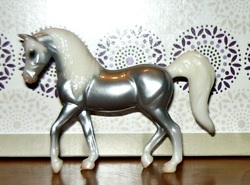 Sultan Ruler-1989 Rose dapple gray (bay base). Sired by *Narmer, out of Brusally Angel. Bred by Legacy Farms. Has Nazeer once in pedigree through Aswan. 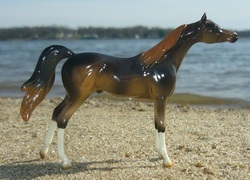 OF Breyer, Trad, Khemosabi #766. 2011-Silent Knight, gray colt (x Amal ) Bred by Shadow Wolf Stables but owned by me. 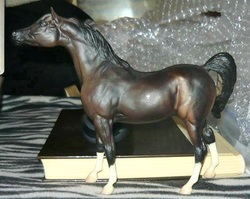 2011-Shadow Sultan, dapple gray colt (x Black Knot) Bred by Pied Piper Ranch but owned by me. 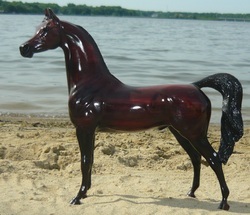 Bezatel Sunset-1990 flaxen chestnut. Sired by Dj Muscatt (r), out of Bint Bezatal. 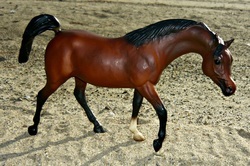 OF Breyer, Trad, PAS #933 Sundown. Pic credit @ Tracey Bartone. 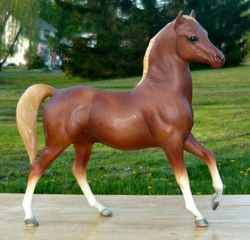 Rave Review-1990 chestnut sabino. Sired by Raffons Abida (r), out of Briana. 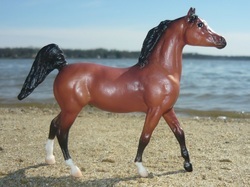 Spattstacular-1992 bay sabino. Sired by Spatts (r), out of Loragwyn (r). Bred by Celtic Song Stables and adopted from them. 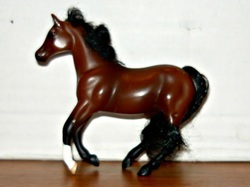 OF Breyer, Classic, Black Stallion #660. 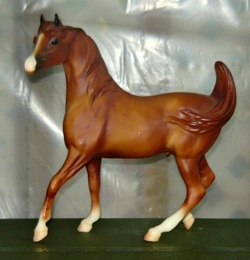 Gold N Trinket-1992 flaxen chestnut. Sired by Gold N Ali (r), out of Glorieta Bint Abu (r). 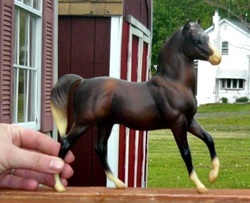 OF Breyer, CAS, #3055 Classic Arabian Family. Yuri-1992 bay. Sired by Talietzin, out of Nissah. Bred by Legacy Farms. Eternal Paradox-1992 dapple gray (black base). Sired by Sursynbi, out of Ayasuha. Bred by WHMS. OF Breyer, Trad, Huck, #? Paradigm. Lightning Bey-1993 bay. Sired by Huckleberry Bey (r), out of Zamzamah. Bred by Aspen Hill Arabians. 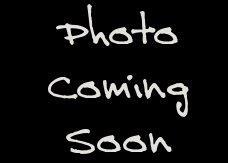 2005-Badieh Aasifa, gray (bay base) filly (x Mecca) o/b ? Krakatoa-1994 chestnut sabino. Sired by Eclipse of the Sun (r), out of Crystal Queen (r). Straight Crabbet (I think). KSW Dune-1994 honey brown/bay. Sired by The Roman, out of Ice Fire. Half Egyptian, half Davenport. Bred by Shadow Wolf Stables. Sire is owned by Legacy Farms. Known for his nasty temperament. Halter was made by Sharon Klien. 2013-SSR Drakkar, bay colt (x SSR Finders Keepers) Dam was sold in 2012 and suspected to be in foal. Sultan Pepper-1995 Flea-bitten gray (red base). Sired by Sultan Ruler, out of KSW Queen Nibbles. Has at least four crossings to Nazeer. Ice Shaman-1996 chestnut sabino. Sired by Shaman, out of Ice Fire. Bred by Shadow Wolf Stables. 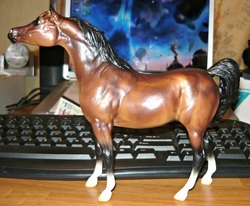 Stormy Saint-1996 gray (chestnut base). Sired by *All Saints, out of Waseem Fay Ella (r). Bred by Legacy Farms. 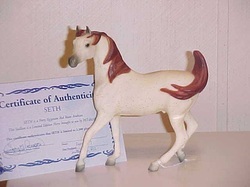 OF Breyer, Trade, Sham SR Seth. Sihr Laheeb-1997 chestnut. Sired by Sihr, out of Maarsera. Bred by Shadow Wolf Stables. Mikhal-1999 chestnut. Sired by Minsk, out of Myseerah. Bred by Monasetah Internation and Karahma Arabians. Set-1999 gray (bay base). Sired by Dubloon Cf (r), out of Aliah Ld (r). Straight Davenport. 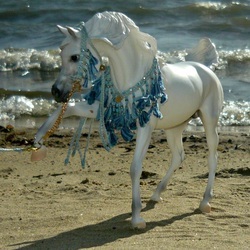 OF Breyer, Sahran. He's wearing Polar Temptress set that was made by Jennifer Selby of Pied Piper Ranch. 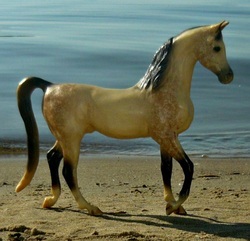 2013-SSR Sun Setter, bay tobiano Part Arabian colt (x SSR Sun Sitara) o/b Spur Star Ranch.